This green ball is a crab neurosecretory terminal, which is what the growth cone of the neuron would become when it found its target site. 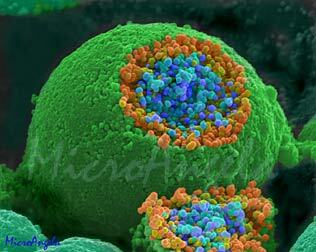 The small spheres are neurosecretory granules, little membrane-bound packets of hormone which are stored in the terminal until the cell receives a signal to release them into the blood. 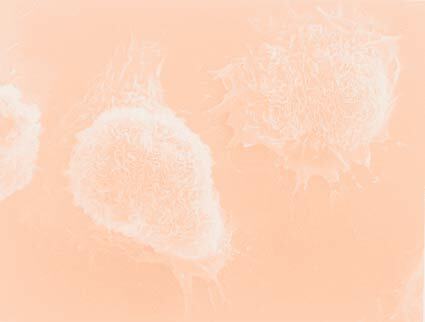 The membrane of the granules would then fuse with the membrane of the terminal and the contents would be released by exocytosis.